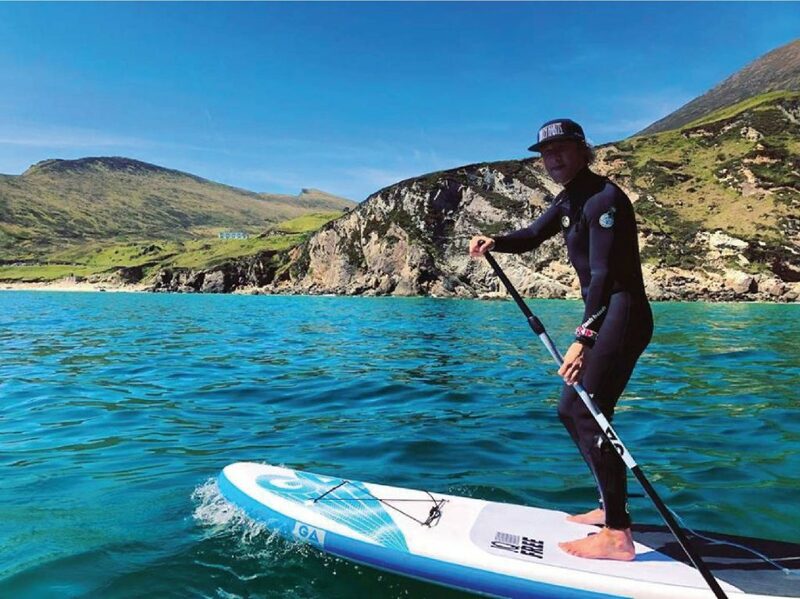 Stand up paddleboarding is a great way to explore the hidden aspects of Achill Island when the seas are calm. 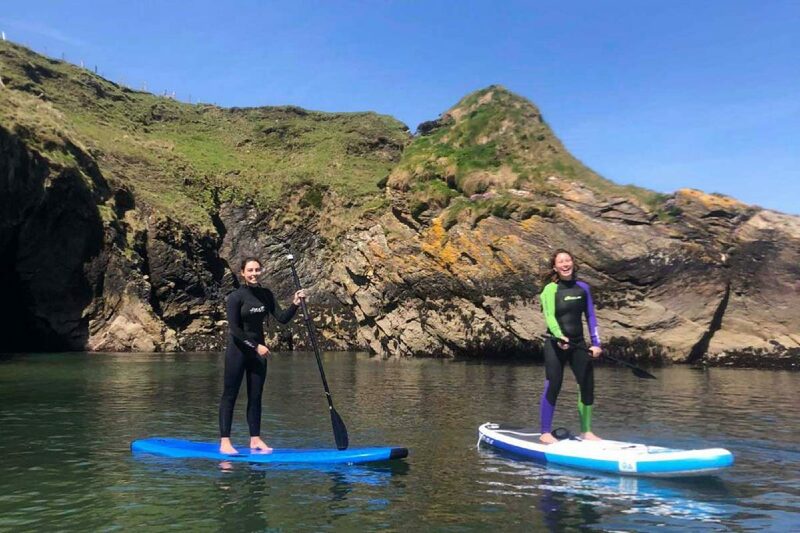 You can experience all this and more on one of our SUP excursions.They are subject to suitable conditions, but book your trip and we will try our very best to make it happen! Stand up paddleboards are wide, bouyant boards that easily support a person standing on them.You will be equipped with a paddle, life jacket and leash to attach you to the board, and one of our qualified instructors will guide you on your journey.Trips usually last around 2 hours and we will take you to wherever the best conditions are to be found on the day.